Nowadays, the global climate change and the growth of population, which brings about the expansion of the residential and cultivated areas, have increased the impacts of geohazards drastically. 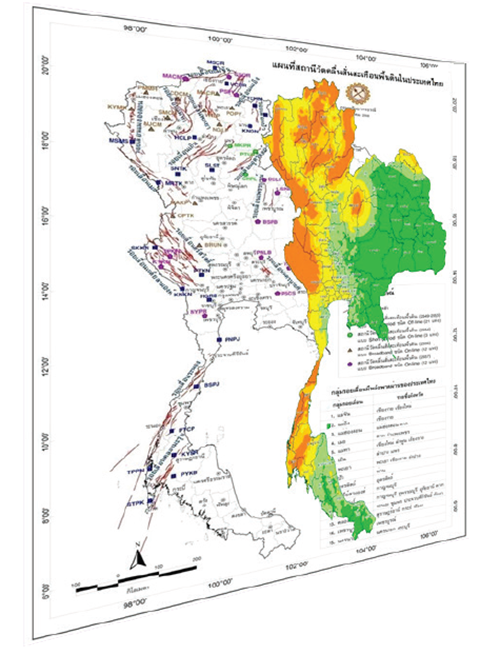 The Department of Mineral Resources has studied all the influential geohazards affecting Thailand. DMR has prepared and issued reports of coastal erosions, sinkholes, tsunamis, saline soils, etc. 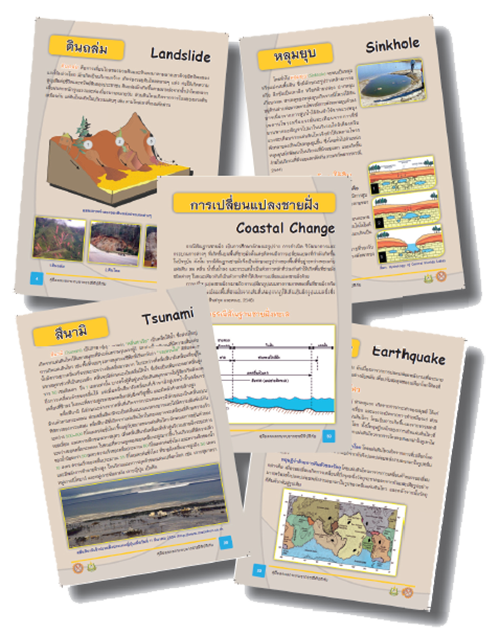 The department has also disseminated communal landslide risk maps, and the seismic hazard and active fault maps of Thailand. DMR has established the Geohazards Operation Center (GOC) in 2002 to install the landslide monitoring and warning system in high risk areas by setting up landslide watch networks and trained teams to help people in these areas to avoid and rescue them from the impacts of all geohazards. In the DMR head office, the GOC monitors weather condition and supports the networks with watch bulletins informing about heavy rains and other weather information.